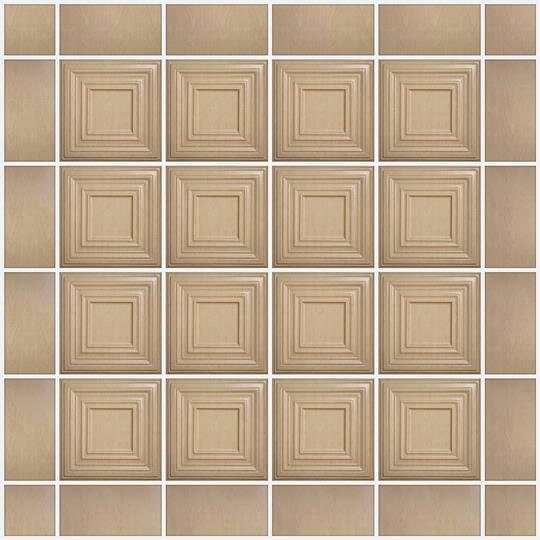 Bistro Ceiling Tiles replicate authentic plasterwork ceilings and add Old World charm to any room. Made from our Signature Series 0.030 in. thick vinyl plastic, they are thermoformed from molds based on original, hand-crafted tin ceiling tile designs and will add an ornate focal point sure to get people talking. The Ceilume Bistro is made of a virgin vinyl that is white throughout the entire tile and does not require painting prior to installation. The finish is a semi-gloss. We'd be happy to send a free full-sized sample if you'd like to see the finish prior to purchasing the tiles. 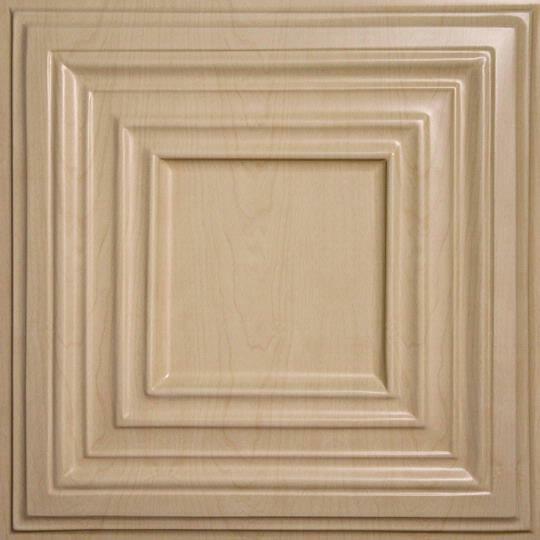 Give us a call at 800-557-0654 to request samples or with any other questions. Yes, the Bistro is made of a thin but rigid vinyl and it can be drilled to allow for installation of a light. 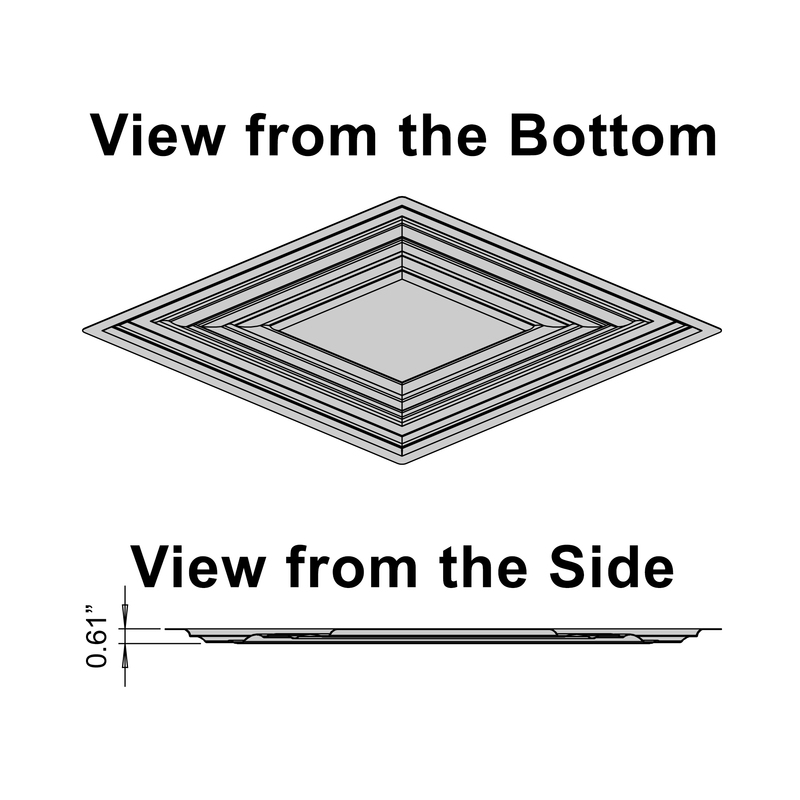 Please remember that per building codes, all light fixtures must be supported by the ceiling grid or structure above. Nothing can be suspended from or supported by the ceiling tiles.